icons/logos/pyrex/white-26px Created with Sketch. icons/logos/corelle/white-26px Created with Sketch. icons/logo/chicago cutlery horizontal-26px Created with Sketch. icons/logos/snapware/white-26px Created with Sketch. icons/logos/corningware/white-26px Created with Sketch. 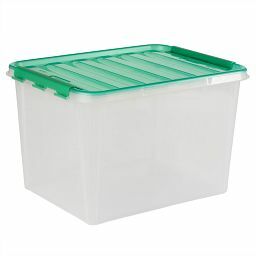 Smart Store Home Storage offers convenient solutions for your everyday storage needs. Keeping in mind your smaller storage needs, Smart Store sizes range from just 3" in height to 12", while fitting all standards shelf depths. DO NOT use Lids in conventional or convection ovens, under browning elements, or on stovetop. 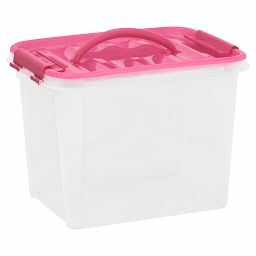 Snapware plastic lids can be used in a microwave oven, refrigerator, or freezer. When using in a microwave, unlatch lid and offset slightly from container. DO NOT use in conventional or convection ovens, under browning elements, or on stovetop. Before first use, remove gasket from lid and wash vessels, gaskets and lids thoroughly. Snapware can be washed in the dishwasher, top rack only, or by hand in hot soapy water. After cleaning, reassemble by pressing gasket firmly into lid. Avoid cutting food inside the vessels with sharp utensils. Avoid abrasive cleaners and scrub pads. To prevent staining and blistering, avoid overheating of high-fat foods, sugar, oils and tomato sauce. FAILURE TO FOLLOW THE WARNINGS BELOW MAY RESULT IN PERSONAL INJURY OR PROPERTY DAMAGE, OR MAY CAUSE YOUR GLASSWARE TO BREAK OR SHATTER IMMEDIATELY OR LATER. Avoid sudden temperature changes to glassware. DO NOT: add liquid to hot glassware; place hot glassware on a wet or cool surface; or handle hot glassware with a wet cloth. Allow hot glassware to cool on a cooling rack, potholder, or dry cloth. Allow hot glassware to cool before washing, refrigerating or freezing. Preheat oven before inserting glassware. DO NOT use on or under a flame or other direct heat source, including on a stovetop, under a broiler, on a grill, or in a toaster oven. Add a small amount of liquid sufficient to cover the bottom of the dish prior to cooking foods that may release liquid. Avoid handling hot glassware without dry potholders. DO NOT: use glassware to microwave popcorn or foods wrapped in heat-concentrating material (such as special browning wrappers); heat empty or nearly empty glassware in microwave, or overheat oil or butter in microwave. Be careful when handling broken glass because pieces may be extremely sharp and difficult to locate. DO NOT use or repair any glassware that is chipped, cracked or severely scratched. DO NOT drop or hit glassware against a hard object or strike utensils against it. PYREX® Glassware can be used for cooking, baking, warming, and reheating food in microwave ovens and preheated conventional or convection ovens. PYREX® glassware is dishwasher safe. This product is intended for normal household use only. DO NOT place hot glassware on wet or cool surface. Allow hot glassware to cool on a cooling rack, potholder or dry cloth. DO NOT use on or under a flame or other direct heat source. Add a small amount of liquid sufficient to cover the bottom of the dish prior to cooking foods that may release liquid. DO NOT overheat oil or butter in microwave. Larger capacities may exhibit leakage after prolonged microwave use. To Write-On use a soft tip non-toxic permanent or wet erase marker in the write here area only. To remove markings, rub using a soft cloth or paper towel or wash the lid. If the ink becomes hard to remove, a few drops of isopropyl alcohol can be used to remove writing. 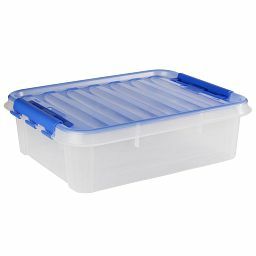 Snapware plastic lids can be used in a microwave oven, refrigerator, or freezer. When using in a microwave, unlatch lid and offset slightly from container. Larger capacities may exhibit leakage after prolonged microwave use. Before first use, wash vessels and lids thoroughly. Snapware lids and vessels can be washed in the dishwasher, top rack only, or by hand in hot soapy water. To Write-On use a soft tip non-toxic permanent or wet erase marker in the write here area only. DO NOT heat in microwave. Snapware Ice Packs can be stored in the freezer or refrigerator. Before first use, wash thoroughly in the dishwasher, top rack only, or by hand in hot soapy water. 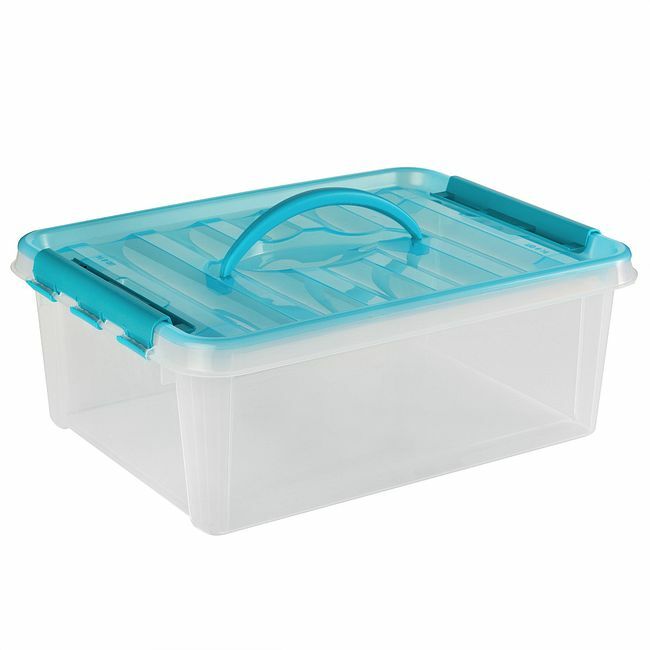 Ice packs fit inside SNAPWARE® Total Solution® vessels or on top of the lids. Once frozen, the ice packs will stay cool for approximately 4 hours at room temperature. When using in a microwave, remove lid and offset slightly from container. Peel-off lids are NOT airtight and leak-proof. Peel-Off lids can be washed in the dishwasher, top rack only, or by hand in hot soapy water. DO NOT use Steamer Tray in conventional or convection ovens, under browning elements, or on stovetop. Food can be served in the glass vessel and stored by adding the lid. Steamer Tray can be washed in the dishwasher, top rack only, or by hand in hot soapy water. For perfectly steamed food, follow the directions below. To ensure food cooks fully and evenly, cut into uniform pieces. Add 2-3 tablespoons of water to the bottom of the glass container. Set Steamer Tray onto glass container over the water. Place food to be steamed into the Steamer Tray allowing space between pieces for steam circulation. Place lid loosely on top of steamer; the openings between lid and steamer are designed to allow venting. Steam food in microwave oven on High setting per chart below. Microwave ovens may vary so test frequently when first using to avoid overcooking or undercooking. .
Use oven mitts when removing from MWO. Tilt over sink to drain out any remaining water. Let stand a few minutes after heating and be careful of steam when removing lid. The Produce Keeper Tray™ is most effective at extending freshness when storing fruits and vegetables that emit, or are affected by, high amounts of natural ripening gases. Examples of affected fruits and vegetables includes, but is not limited to apples, pears, nectarines, kiwi fruit, broccoli, cauliflower, lemons/limes, avocados, asparagus, cantaloupe, and cucumbers. Freshness results may vary depending on the type of produce stored. The Produce Keeper Tray™ is dishwasher safe, top rack only. Dry thoroughly to maintain the tray’s effectiveness for up to one year. DO NOT use in microwave, conventional or convection ovens, under browning elements, or on stovetop. 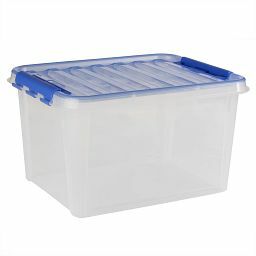 Snapware® plastic lids and canisters can be used in the refrigerator or freezer. Before first use, remove gasket from lid, wash and dry thoroughly. Wash by hand in hot soapy water. Avoid abrasive cleaners, scrub pads and sharp utensils. Can be used in a conventional microwave oven, refrigerator or freezer. 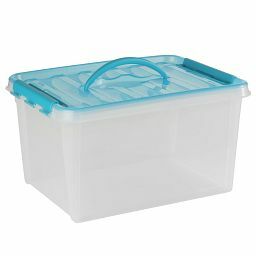 Before first use, wash containers and lids thoroughly. Wash in the dishwasher, top rack only, or by hand in hot soapy water. For safety, remove lid before microwaving: cover with paper towel to prevent spatters. Can be used in refrigerator or freezer. Before first use, wash and dry thoroughly. Can be used in a refrigerator, freezer, is dishwasher safe top rack only and in a microwave oven. Always loosen latches or remove lid when reheating. DO NOT use in a conventional or convection oven. DO NOT Use On or Under a Flame or Other Direct Heat Source, including on a stovetop, under a broiler, on a grill or in a toaster oven. Before first use remove gasket from lid. Wash and dry lids, vessels and gaskets thoroughly. Reassemble gasket into lid after washing by firmly pressing into place. Avoid cutting food inside the containers with sharp utensils. Avoid abrasive cleaners and scrub pads. To prevent staining and blistering, avoid overheating of high-fat foods, sugar, oils and tomato sauces. Before first use, wash and dry thoroughly. HAND WASH ONLY. Avoid abrasive cleaners and scrub pads or sharp utensils. To remove measuring cup grip sides firmly and slowly rock the lid back and forth until the airtight seal is broken and measuring cup comes out. Snapware Glass Canisters ARE NOT OVEN SAFE. Read these instructions and warranties carefully and save them for future reference. 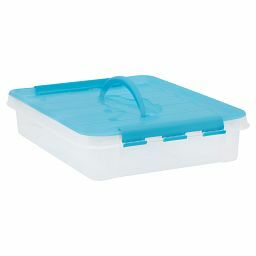 For more information, visit www.snapware.com or call the Corelle Brands Help Center at 1-800-999-3436. FAILURE TO FOLLOW THE WARNINGS BELOW MAY RESULT IN PERSONAL INJURY OR PROPERETY DAMAGE, OR MAY CAUSE YOUR GLASSWARE TO BREAK OR SHATTER IMMEDIATELY OR LATER. Avoid Sudden Temperature Changes to your Glassware. To avoid risk of breakage due to a sudden temperature change to your PYREX® glassware. DO NOT add liquid to hot glassware, place hot glassware on a wet or cool surface, or handle hot glassware with a wet towel, wet potholder or other wet cloth. DO NOT place hot glassware directly on a countertop or any metal surface, or in the sink. Allow hot glassware to cool on a cooling rack, dry potholder or dry cloth. Be sure to allow hot glassware to cool as provided above before washing, refrigeration or freezing. Oven Must be Preheated Before Inserting Glassware. DO NOT insert glassware into oven for cooking or reheating until the oven has been preheated to the desired temperature. Add Liquid to the Bottom of Glassware when Cooking Certain Foods. When preparing food that may release liquid, add a small amount of liquid sufficient to cover the bottom of the glassware prior to cooking. DO NOT: use glassware to microwave popcorn or foods wrapped in heat-concentrating material (such as special browning wrappers); heat empty or nearly empty glassware in the microwave; or overheat oil or butter in microwave (use minimum cooking time). Plastic lids should be removed for reheating purposes. Always loosen latches and remove lid. Be Careful When Handling Broken Glass. Broken glass pieces may be extremely sharp and difficult to locate. DO NOT use or repair any glassware that is broken, chipped, cracked or severely scratched. DO NOT drop or hit glassware against a hard object. DO NOT strike utensils against glassware. 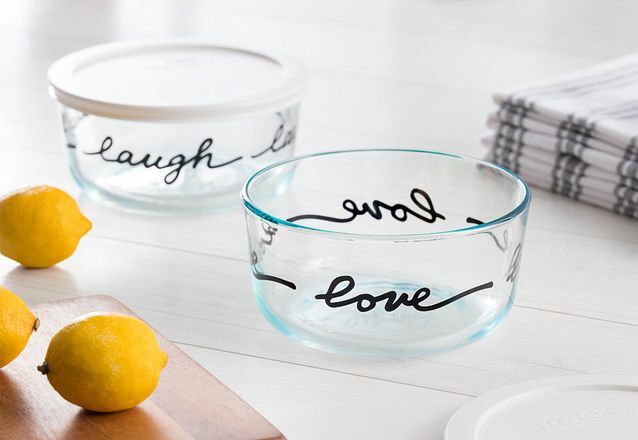 PYREX® glassware and SNAPWARE® lids are dishwasher safe, and may also be washed by hand. When using dishwasher, load dishes to avoid bumping against other items during dishwashing cycle. Use non-abrasive cleansers. If scouring is necessary, use only plastic or nylon cleaning pads, again with non-abrasive cleansers. Can be used in a microwave oven, refrigerator or freezer. To Write On: Use a soft tip non-toxic permanent marker or a soft tip wet erase marker. Writing should be contained to the write here area and marking on the textured areas should be avoided. You will not be able to remove the ink if it is on the texture area. Wet Erase Marker - Simply wash the lid by hand or in the dishwasher. Permanent Marker - Gently rub off using a soft dry dish cloth, paper towel or tissue. Other Considerations: Should the ink become hard to remove, you can use a few drops of isopropyl alcohol to remove writing. LIFETIME WARRANTY: Corelle Brands LLC promises to replace this SNAPWARE® plastic lid and vessel if it is found to have a defect in materials or workmanship during the LIFETIME of the product. The foregoing warranties apply only to products damaged during normal household use. These warranties do not cover damage resulting from misuse, negligence, accidental breakage or attempted repair. For these warranties to apply, the owner must follow the applicable Safety and Usage Instructions set forth above. These warranties do not apply to items that are: Used while camping, used commercially or institutionally; or damaged while moving or in related storage. If the exact item is not available, it will be replaced with a comparable item. Incidental and consequential damages are expressly excluded. Some states do not allow the exclusion or limitation of incidental or consequential damages, so the foregoing limitation or exclusion may not apply to you. If making a warranty claim, KEEP THE PRODUCT you may be asked to return it. This warranty gives you specific legal rights. You may also have other rights, which vary from jurisdiction to jurisdiction. Should a warranty issue develop, contact the Corelle Brands LLC Help Center at 1-800-999-3436. For more information contact our Consumer Care Center. SNAPWARE is a registered trademark of Snapware Corporation, used with permission by Corelle Brands LLC. DISTRIBUTED BY CORELLE BRANDS LLC, P.O. 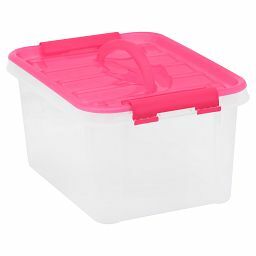 BOX 733, ROSEMONT, IL 60018 USA © Corelle Brands LLC. The Corelle family of brands has just what you’re looking for. Sign up for access to exclusive offers, new arrivals, recipes and more! Oops! Please try entering email again. SHOP arrow down arrow down icon. CUSTOMER CARE arrow down arrow down icon. ABOUT US arrow down arrow down icon. © 2019 Corelle Brands LLC, All Rights Reserved.